A leash is a necessity not an accessory! 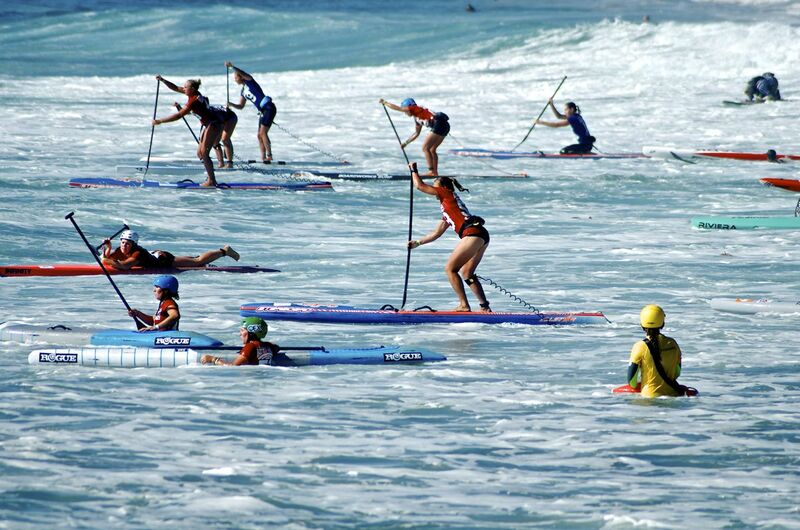 When most people think about SUP, they think about a board and a paddle. A leash is often overlooked and seen as an accessory not a necessity. And it’s easy to see why. It’s easy to forget about the potential consequences of not wearing a leash until you really need one! Most of us like to take risks, that’s why we SUP. It can be exhilarating and scary. But is it really worth risking your life for? Do you know what your leash is really for and what the potential consequences are by not wearing one? I don’t want a cold wet ankle! We’ve heard them all but there really is NO EXCUSE for not wearing a leash when you’re paddleboarding. A leash is not just a money making accessory. It’s there to save your life. Your board is like a massive buoyancy aid. 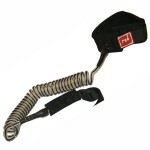 A leash stops your board gliding or being blown away from you, when you fall in. This means your board is only ever a leash length away making it quick and easy for you to hold on to and climb back on. This might not sound such a big deal when you’re paddling in warm water with no wind. But when you’re in cold water watching your board blowing away from you it’s not quite so much fun and could be fatal. It’s amazing the effect a light breeze can have on your detached board, making it glide away from you in no time. Have you tried swimming after your board holding a paddle?!!! And when we say swim we mean really swim? It’s not as easy as you may think. And if you’re wearing a buoyancy aid it’s virtually impossible. Add to that the possibility of cold water shock or hypothermia and a board you can’t reach is no use to you at all. It’s all very well saying a mate will catch it for you and bring it back. But that might just be too late. Wearing a leash means you can always get back on your board and get paddling again quickly. Being a responsible paddleboarder means looking out for others safety too. A paddleboard is a big and potentially dangerous piece of equipment when loose in the surf or among a group of other paddleboarders. A leash gives you some control over your board when you fall off. SUPboarder is firmly behind ensuring wherever you paddle you wear a leash, making sure you wear the correct type of leash and release system for the paddling you are doing. 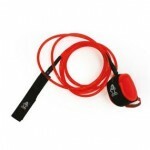 There are many different types of leash available on the market, so what ever type of paddling you’re doing you can find a suitable one. If you don’t know what leash is best for you, go to your local shop or SUP Club and they’ll be able to advise you. Unfortunately it’s taken some paddleboarders a ‘near fatal experience’ to really understand the importance of always wearing a leash. We spoke to some well known paddlers and asked them to share their experiences of not wearing a leash. Lets learn from these near misses and ensure we keep SUP safe and accident free. 4 years ago, me and my buddies were about 10 miles into our paddle through Loch Ness and decided to stop for lunch, following a short break we got back on the water, excited about the wind and swell that had picked up… So excited that I forgot to attach my leash. We were all wearing just 2mm paddle suits as we were not expecting to face the challenging conditions or to fall into the 4 degree cold water… But I did. The wind and wind swell quickly pushed my board out of reach, leaving me swimming to catch it. I couldn’t but my paddle buddies thankfully caught my board and I managed to swim to it. I was in the water for about 6 minutes and reached stage 1 hypothermia. If my buddies were not on hand to support me, I’m sure I would have drowned that day. It could have all been prevented if I had taken just 6 seconds to put my leash on… Lesson learned. Check out the WeSUP video of this trip here. It could have been a very different experience if Sean was not so lucky. Paul Simmons & Marie Buchanan – Starboard Team riders. “Don’t worry, I’ll look out for you”. A few miles into the downwinder I was a few hundred metres ahead and glanced back, to see Marie separated from her board. The wind was blowing the board faster than she could swim so I had to turn around and stop her board to enable her to catch up. It was scary to see how easily this happened in relatively tame conditions. She wasn’t panicking but was certainly a little shocked to see how easily a very controlled situation quickly changed to a vulnerable one, relying on someone else to avoid being over a mile out to sea with a very long swim.Lesson most definitely learned: we now use leashes on ALL coastal paddling even in relatively calm conditions. Why is it so important? What’s the bigger picture? At present there is no legal requirement to wear a leash or buoyancy aid when paddleboarding in the UK. But that could all change. All it will take is for there to be a fatal SUP related incident where someone is not wearing a leash and it could well become mandatory along with buoyancy aids, carrying spare paddles, flares, first aid kits etc… There are obviously times when it’s sensible to carry the above e.g if embarking on a longer distance paddle. But for the majority of us everyday, social paddlers, it would ruin the simplicity of SUP, which is exactly what appeals most to many of us about the sport. So come on. Lets keep it simple. Don’t be stupid. Always wear a leash when you SUP. A leash is a necessity not an accessory. Let us know your thoughts about leashes. SUPboarder would like to hear your arguments for and against. What about practicing what you preach @WillRogers?? In my opinion, common sense should be taught to new paddlers about when and where to wear a leash and perhaps, Will, you believed that on your Duncasby Stacks trip the conditions didn’t require you to wear one. If thats the case, then thats all well and good but to then write a piece telling everyone they MUST wear a leash is, quite frankly, wrong. Well spotted! I’m very guilty of not wearing a leash here and absolutely should have been. I did this paddle in summer 2013 and like many paddlers the importance of wearing a leash wherever i paddle has been a recent change in mindset (about a year ago in my case following conversations with people who have had bad experiences – like Paul and Sean in the feature). Thanks for pointing it out and happy paddling.